Even MORE reason to dance at USDC! 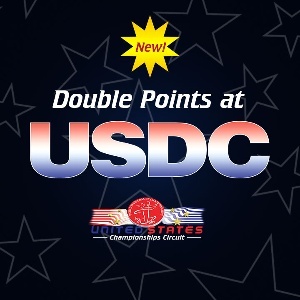 The United States Championships Circuit will now award DOUBLE POINTS to participants who dance at USDC! As the Series Finale of the circuit, this should be extra motivation to gain extra points and hopefully win the top spot! View the US Championships Circuit Here.